Poor Vitamin D Absorption is often a problem in people with gastrointestinal diseases or where surgery has removed some of the stomach or small intestine. But most of the time, people who THINK that they have poor absorption of vitamin D are just not simply taking enough. Most people see the 100% RDA of Vitamin D on their multivitamins and assume that the FDA really knows that 600 IU's or 800 IU's is a sufficient amount of Vitamin D to keep their levels up. So many are surprised and shocked to find that they are Vitamin D Deficient after taking 100% of the RDA of Vitamin D for years- sometimes even decades. Unfortunately for them, their doctors are equally clueless and believe that the RDA is correct, so they will treat the Vitamin D Deficiency with 300% of the RDA- a big 2000 IU's. But when their patient's levels stay the same or even go DOWN, they think that there is something wrong with their PATIENT when really the problem lies with the DOCTOR. When you visit the Vitamin D Requirements page, you will see that researchers recommend up to 5000 IU's per day as a Maintenance Dose- and much higher doses are needed in order for the Treatment of Vitamin D Deficiency. So, if you think that Vitamin D Absorption is a problem for you, you need to FIRST make sure that you are actually taking enough Vitamin D to get your levels up. Higher body weights also need more vitamin d and if you are obese or just a large person, then you will need more. A 250 pound person may need 7000 IU's or more just to maintain their current levels. If you ARE taking significant amounts of Vitamin D- over 7000 IU's a day- and your Vitamin D Levels are STILL too low, then there ARE some other factors that can influence vitamin D absorption. The QUALITY of the Vitamin D Supplements is one of the first things to consider with Vitamin D Absorption. Vitamin D2 - which is what ALL forms of Prescription Vitamin D are made from, have a short and unstable shelf life. 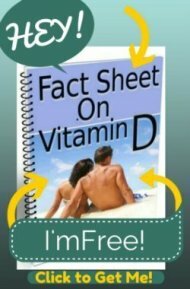 So, the FIRST thing to do if you think that you have a 'Vitamin D Absorption' problem is to ditch the Prescription Vitamin D and make sure that you are getting High Quality Vitamin D3 Supplements instead, preferably one that is 'dry', meaning made without oils, or one made with MCT oil or coconut oils, since these don't go rancid. Problems with rancid oils are some of the reasons that people experience Vitamin D Side Effects. 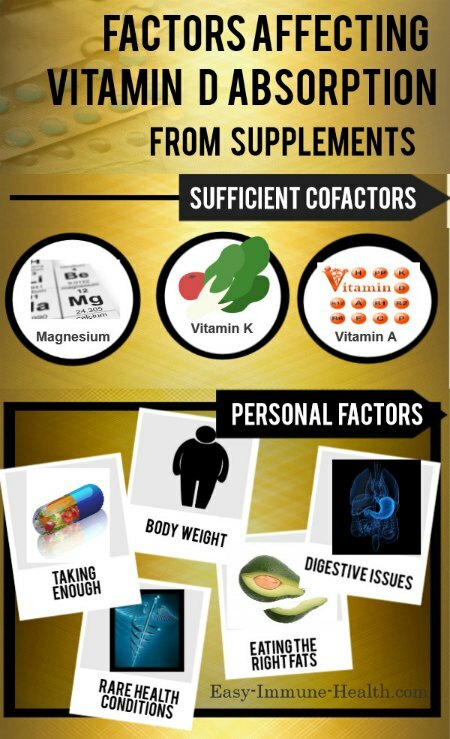 High quality supplements are imperative! Vitamin D is one of the fat soluble vitamins. That means that fat is required for it to be absorbed through the stomach, but not just any fat can be used. Studies have shown that the Polyunsaturated Vegetable Oils inhibit the absorption of Vitamin D, while monounsaturated oils, Omega 3 fatty acids and saturated fats enhance absorption. But so many people in our society are 'fat phobic' and will avoid eating fats whenever possible. While a discussion of how much and what kind of fat to eat is a LONG discussion, it is safe to say that we absolutely without a doubt NEED fats, preferably any Substitute for Vegetable Oil for Vitamin D absorption. So, if you take your Vitamin D as you rush off to work with toast and a glass of orange juice, you're Vitamin D Absorption will be poor- along with all of the other fat soluble vitamins A, D, E, K and Coenzyme Q10. So, eat some fat with your vitamins- preferably in the form of Omega 3 Fatty Acids or Saturated Fat, and you will benefit in more ways than one. If you have any gastrointestinal problems, particularly those that have difficulty digesting and/or absorbing fats, you are likely to have a really hard time absorbing Vitamin D too. People with conditions like celiac disease, Gluten Sensitivity, IBS and Crohn's Disease will likely be Vitamin D Deficient unless they take large amounts of Vitamin D or get a lot of sun. People with Steatorrhea (fat in the stool) and those who have had any part of their stomach or upper intestines removed are not going to absorb vitamin D very well and are going to likely need Vitamin D Supplements- sometimes at very high doses. 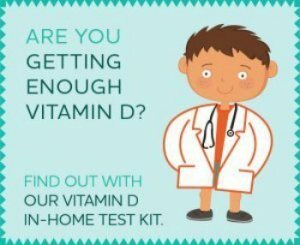 While its important for everyone to get a Vitamin D Test, it is IMPERATIVE that anyone with a gastrointestinal or fat absorbing disorder get one and to keep their level within the 'optimal' range as found on the Normal Vitamin D Levels page. In some cases, supplementing just will simply not be enough and these people will need to be able to consistently get a significant amount of sunlight for their vitamin D.
are actually Signs of Magnesium Deficiency and often go away if Magnesium and Vitamin D are taken TOGETHER. To avoid problems, I suggest never taking large doses of vitamin d without also taking magnesium, a HIGH-QUALITY multivitamin, and the other 'Vitamin D Cofactors' discussed below. This Study and others have convincingly shown that giving magnesium at the RIGHT Magnesium Dosage can absolutely improve so called Vitamin D Absorption problems. Vitamins are not drugs, and taking them in isolation is a bad idea. The actions of vitamins in the body are due to hundreds of complex chemical reactions that take place throughout the body. The vitamin d that you take or that you get from the sun, for instance, goes through a complex set of reactions to become the 'active form' that can be measured in your blood and that acts upon the body. These are only the KNOWN cofactors. There may be other cofactors that are unknown at this point in time. And for this reason, I suggest that anyone who takes vitamin D take a HIGH QUALITY multivitamin (not a 'drug store' brand) and all of the vitamin d cofactors such as are contained in the Vitamin D Absorption Pack that I created for the purpose of maximizing vitamin D absorption and minimizing any problems when taking it. What could be eating my vitamin D? Will Vitamin D Be Absorbed Even If I Don't Take Calcium? How Fast Does The Body Burn Vitamin D? My Vitamin D Level Won't Go Up, Could There Be Something Wrong?